Lenders' Mortgage Insurance: What is LMI and who has to pay it? What is LMI, how does it work, and who has to pay it? CANSTAR explains how lenders’ mortgage insurance works when you are buying a house. They say patience is a virtue but if patience in saving up for the deposit to buy your first home is not your strong point, chances are you may need to pay lender’s mortgage insurance (LMI). Lenders’ Mortgage Insurance (LMI) is an insurance policy that protects the lender (the financial institution) from financial loss in the event that the borrower (you) can’t afford to keep up the home loan repayments. Your financial institution may make it a condition of borrowing that you pay for their lenders’ mortgage insurance policy. This is usually because you are a first home buyer and/or you have a small deposit – your Loan to Value Ratio (LVR) is high. The Reserve Bank says a high LVR (low deposit) loan generally means less than a 20% deposit (LVR of more than 80%), but for investors buying in Auckland it means less than a 30% deposit (LVR of more than 70%). Don’t confuse lenders’ mortgage insurance with mortgage protection insurance, which is effectively an optional type of income protection insurance that you take out personally. With mortgage repayment protection insurance, your insurance provider covers your monthly repayments if you become sick or disabled, become unemployed, or pass away. Lenders’ mortgage insurance is not optional – if you are a high LVR borrower, you will have to pay it – and the lender takes out the policy from the insurer, but you still pay the premiums. The premium for lender’s mortgage insurance can either be paid by you upfront, or can be added onto your loan balance and gradually paid off through your monthly repayments. If you load the premium onto your mortgage, be aware that you will pay interest on the premium for the life of your loan. On a $350,000 loan, the lenders’ mortgage insurance one-off payment could be anywhere from $1,750 to several thousand dollars. Lenders’ mortgage insurance can be a huge cost, so it’s worth learning about it and considering raising a larger deposit. It could save you thousands. What affects the cost of lenders’ mortgage insurance? The size of deposit. Most home loan providers will lend up to 95% of the property value. Whether the property is for rental investment or for you to live in. Not all financial institutions differentiate between an investment and residential property purchase, but some do. The insurer used by the financial institution. There are several providers of lenders mortgage insurance and so, just like any other insurance product, premiums will differ between institutions. Whether you are an employee or self-employed. Your employment status can affect the perceived risk of lending to you, so this is another factor that might affect your LMI premium. How much does Lenders’ Mortgage Insurance cost? The cost of Lenders’ Mortgage Insurance will vary widely depending on your home loan provider and whether they charge a flat rate LMI Fee or a percentage based LMI Charge. The following calculations are based on a loan amount of $350,000 at a floating interest rate of 5.60%. If you are able to raise a 20% deposit (meaning an LVR of 80%), then you will not have to pay Lenders’ Mortgage Insurance on the loan. This table shows what the cost of the loan would be over time without LMI. Lenders Mortgage Insurance is charged in two ways – either the bank charges an LMI Fee that is a set dollar amount, or an LMI Charge that is a percentage of the loan amount. As this table shows, LMI Charges can be much more expensive than LMI Fees, depending on the size of the loan, because they are a percentage rather than a flat fee. In 2016 our research shows that LMI Fees range from $1,750 to $2,625, while LMI Charges range from $1,750 to $3,500 on a $350,000 loan amount. That difference can add quite a chunk to your monthly repayments. Source: CANSTAR database as at June 2016. As you can see from the above, a home loan provider that charges an LMI Charge rather than an LMI Fee on our hypothetical $350,000 loan could be stealing an extra $151 per month out of your budget. Lenders’ mortgage insurance comes with a hefty price, so it’s worth looking for some strategies to avoid the cost if at all possible. Is it possible to buy a house with paying LMI? Absolutely, but it will involve saving a bit more money so it’s not for those in a rush to move into their new home. Grow your deposit. To avoid lenders’ mortgage insurance, a deposit of 20% of the property purchase price is needed. Weigh up the pros and cons of giving yourself more time to save versus getting into the property market earlier. If you need a savings kick-start, check out the incentives and grants on offer for First Home Buyers. Or take a look at how much you could save in interest with a larger deposit if you need some inspiration to keep saving. Ask your parents for help. A cash gift or loan from the Bank of Mum and Dad could be enough to get you over the line and avoid LMI. 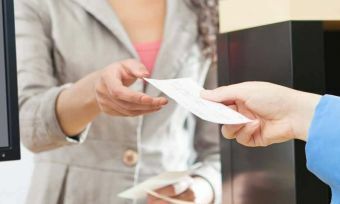 Note that some financial institutions are unwilling to accept cash from a third party as genuine deposit savings, so you’ll need to have the money in the bank when applying for a loan. Have family go guarantor. A guarantor is someone who guarantees part or all of your loan, so that in the event that you can’t pay, the responsibility would fall on them. It’s not a decision to take lightly, as going guarantor is potentially risking your own savings and assets. Read more about going guarantor on a home loan. Get a quote upfront. As already mentioned, the cost of LMI can differ between financial institutions. The two main providers of LMI in the New Zealand market are Genworth Mortgage Insurance and QBE Lenders’ Mortgage Insurance. Outside of that though, some institutions will self-insure for deals up to a certain LVR. So you should ask a few financial institutions for an estimated cost of LMI before you begin the home loan application process. It could potentially differ by thousands of dollars between providers. There are other benefits to having a larger deposit. 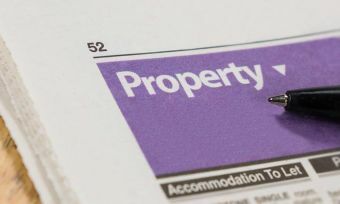 For example, the lender may not require you to pay for a registered valuation – although valuations can be very beneficial in ensuring buyers don’t pay too much for a property! A larger deposit also means your monthly repayments on the mortgage are lower. You can compare home loans by reading our star ratings report for First Home Buyers or by comparing First Home Buyer home loans on our website.